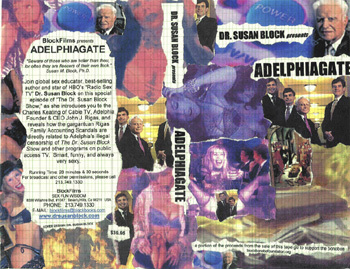 "ADELPHIAGATE: Censorship & Scandal" airs on ADELPHIA CABLE TV in West Los Angeles and the San Fernando Valley, as well as other public access cable TV stations throughout Los Angeles on Saturday night, July 13 at 11:30 PM. 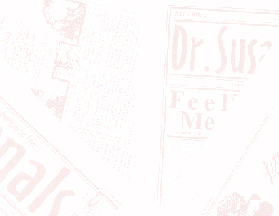 Below is a secret censorship sheet inadvertently given to Dr. Susan Block by Adelphia staff in the Valley. Note the reasons for refusing to broadcast shows #3 and #4. Kiss THIS, John J. Rigas ! Rigas Boys Caught Masturbating Their Figures!